I WANT A FREE LEGAL CONSULTATION NOW! 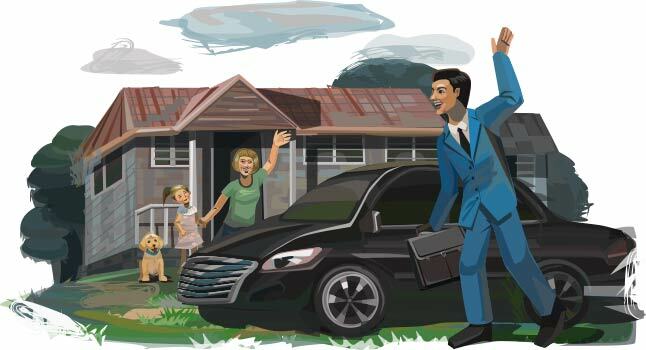 Talk with friendly lawyers and find out if you have a case! 100% Free and no obligations! Get Your FREE Legal Consultation With A Friendly Lawyer! There is no-risk and the consultation is free. Please select the appropriate case type for your needs. 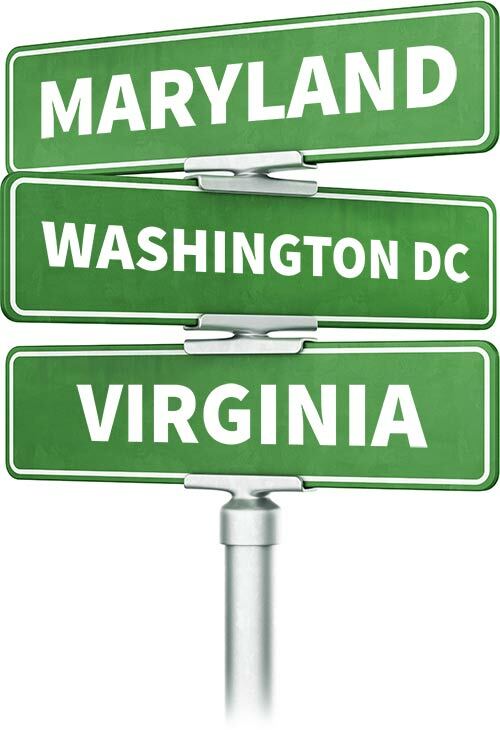 Our car accident lawyers, medical malpractice lawyers and social security disability lawyers serve residents of Maryland, Washington DC and Virginia. The Drug/Device and Whistleblower cases we handle nationally, no matter what state you live in. 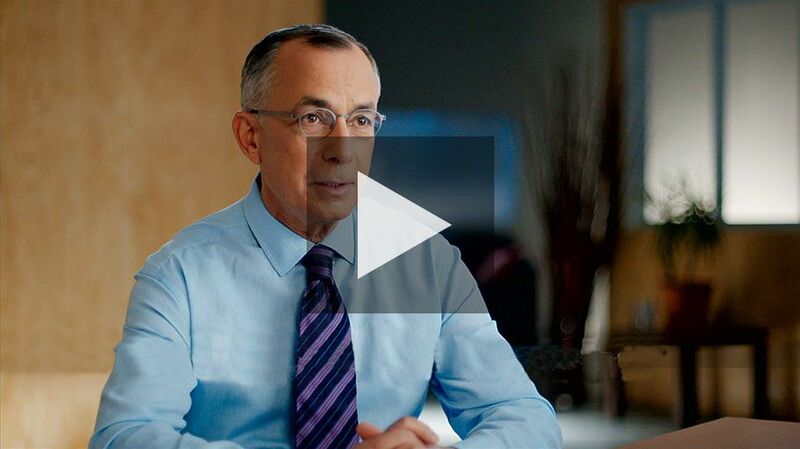 Find out how a powerful lawyer can help you get financial compensation, great medical care and an easier road to recovery. Discover what can be done if you are a loved one suffered or died due to the negligence of a medical care professional. Discover how easy it can be to get approved for social security disability benefits, even if you've been previously denied. Find out what you should do if you were injured because a property owner or business failed to provide a safe environment. If you suffered an adverse health event after taking a prescription drug, you may be entitled to compensation as a victim. If you suffered due to a defective medical device, you may be able to seek compensation through a lawsuit or settlement. Hurt on the job? Discover how an attorney can ensure your right to workers compensation is granted so you can rest easy. Are you aware of fraud being committed by a government contractor? Find out how you can benefit as a whistleblower. Greenberg & Bederman handles many more types of cases. 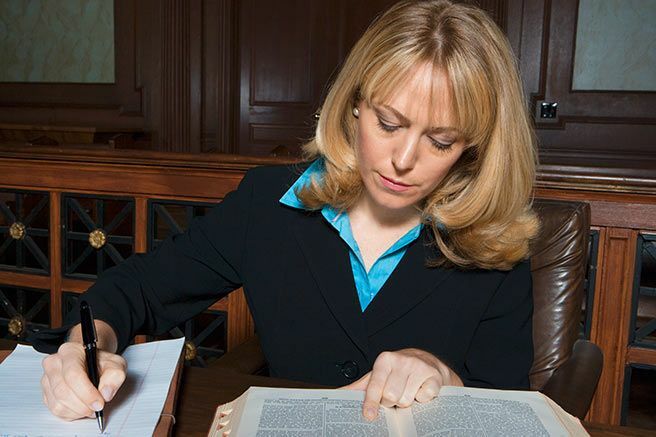 Simply click the button below to see all the types of cases our attorneys can assist you with. Below are some of the many advantages you gain having Greenberg & Bederman handle your case. Many of the benefits you get as a client are unique, and differentiate our law firm from the competition. If You Don't Win Your Case, You Don't Pay! 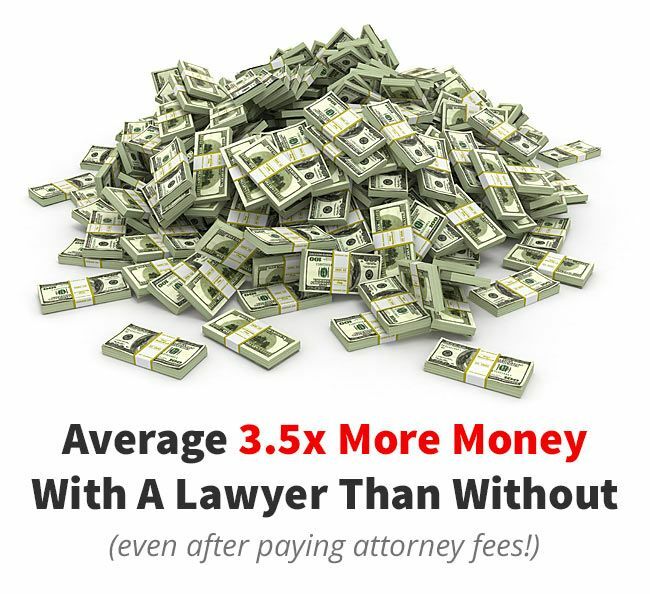 Never worry again about how you're going to afford a lawyer. Our law firm works on a "contingent" basis, meaning you only pay us if you win your case. No out-of-pocket or upfront costs! If for some reason we don't win your case, you don't owe us anything. So relax and never worry, you have nothing to lose! Rest easy knowing your lawyers have your best interests at heart. Greenberg & Bederman achieved the highest possible rating for ethical standards and legal ability by Martindale-Hubbell®. They describe our perfect 5.0 rating as, "a significant rating accomplishment -- a testament to the fact that a lawyer’s peers rank him or her at the highest level of professional excellence." The instant you become a client of Greenberg & Bederman, there is a tremendous relief knowing that your case is in competent legal hands. You can let us do all the hard work while you focus on your recovery, healing and enjoying life again. With numerous multi-million dollar settlements and verdicts for our clients, Greenberg & Bederman has proven experience with big cases. But we also have a proven record of exceptional results with smaller cases. Our diverse team of settlement and litigation attorneys know how to get you maximum financial compensation. Many law firms outsource your case when there is a need to file a lawsuit and go to court. But we don't! 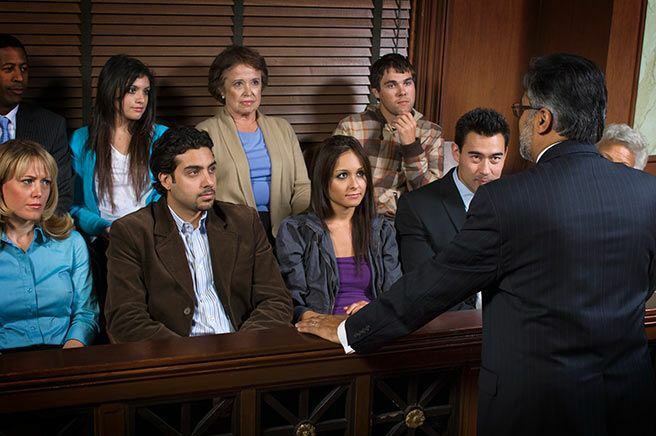 Our courtroom success is due to the fact that we have our own dedicated in-house trial lawyers that are highly-trained in the art of litigation. So whether your case goes to court or not, we have you covered! If you are injured or can't come to our office, our team will come to you! As a client, you deserve to focus on your health and well-being. We will work around your schedule and visit you at your home, at the hospital, or any other location of your choosing to discuss your case. Speak To Your Attorney, Anytime! 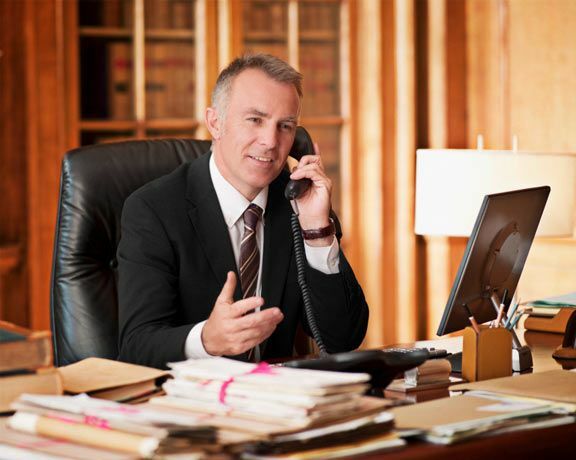 As a client, you can call our offices anytime and speak directly to your lawyer. This is very unique to Greenberg & Bederman, as many law firms actively try to limit the communication between client and attorneys by sending you to a secretary or paralegal. But at G&B, we encourage our clients to call their attorneys anytime. When you choose Greenberg & Bederman, you instantly gain the advantage of having a law firm on your side that has been practicing law for over 30 years in the Maryland, Washington DC and Virginia area. You tap into our proven legal strategies and a powerful team of attorneys that are intimately familiar with the local courts and state laws. Awards and accolades help give confidence to potential clients about our level of success and experience. Our lawyers have been awarded some of the most prestigious awards in the legal field, including SuperLawyers™ status and the Million Dollar Advocates title. The firm has even been given the highest rating for ethics and legal ability by Martindale-Hubbell®. MRI's that use gadolinium contrast dye have been linked to numerous symptoms and complications. Learn more about gadolinium. Women diagnosed with cervical cancer may have had false negative pap smear results. Discover why labs often misinterpret. ParaGard® IUD has been linked to fractures and complications during removal, requiring surgical repair. Learn more. Nexium®, Prilosec® and Prevacid® have been linked to kidney complications in heartburn patients. Find out more. Physiomesh®, a device used in hernia repair has been withdrawn and linked to serious complications. Find out more. Roundup® weed killer (glyphosate) has been linked to non-Hodgkin lymphoma and other cancers. Get the latest updates. Avastin® eye injections for degenerative eye conditions have been linked to floaters and bubble-like spots. Learn more. The NuVasive MAGEC® for early-onset scoliosis in children has been linked to serious complications. Find out more. Essure® permanent birth control has been linked to serious side effects, unplanned pregnancies and death. Find out more. JUST FOR MEN® hair dye products are causing severe allergic reactions in some men. What to do if you've been affected. Taxotere®, a chemotherapy drug has been shown to cause permanent hair loss (alopecia). Find out more now. For cell phone users who get unwanted phone calls and text messages from companies utilizing automated robocall tactics. 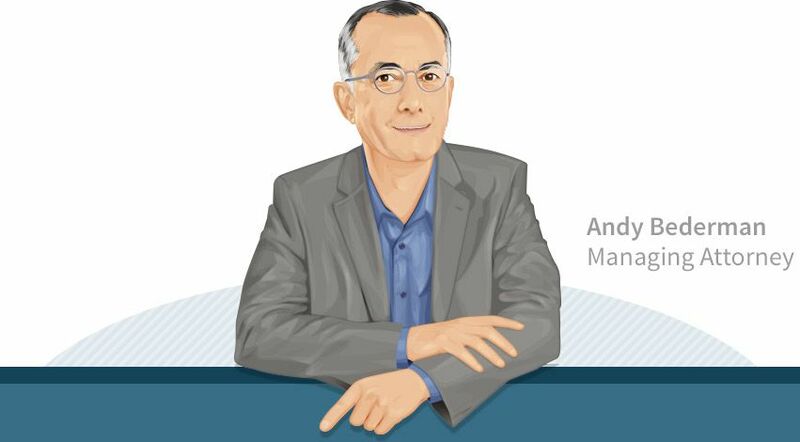 Play the video above to hear Andy Bederman share his philosophy on how a client's needs will always be top priority. As a client, you can be confident about having a great experience with the staff of Greenberg & Bederman.